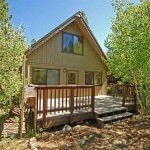 2680 Hank Monk Ave South Lake Tahoe CA offered at $309,900Great Tahoe Mountain Style Home with log accents, pine ceilings, pine wainscoting, slate floors, 2 fireplaces & so much more. This large lot provides boat or RV storage. Oversized 2 car garage. Extra shed for storage or hobbies. New fence, newer corian counters, appliances & carpet. This home is an excellent value that is priced lower than others, yet has more features!This home is a successful...Continue Reading! 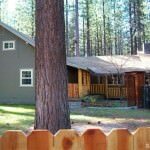 580 Koru St South Lake Tahoe CA offered at $289,000This beautiful Tahoe Chalet has been updated and includes to many great features to list. The interior has new carpet and laminate flooring, a freestanding gas fireplace, and extensive use of knotty pine. The kitchen features granite tile counters, new stainless appliances, and newly refinished cabinetry. A large garage provides sheltered parking and additional room for storing all your Tahoe toys. The exterior, has been freshly...Continue Reading!